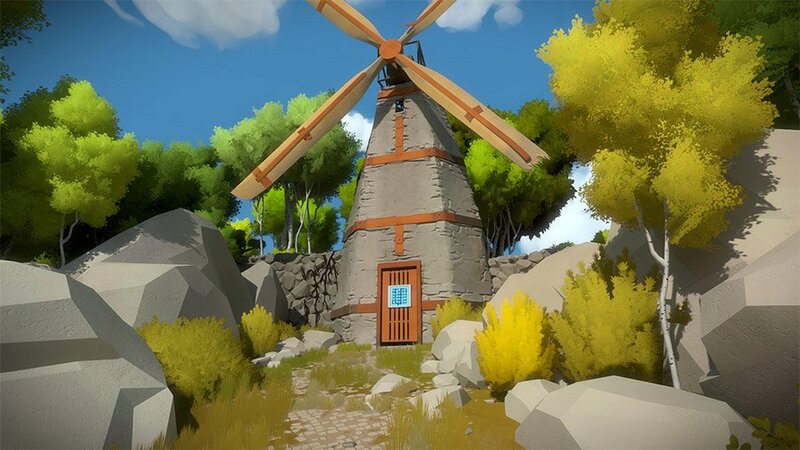 A puzzle game not to be "Myst"
I remember my reaction when I checked my Facebook feed on a Saturday morning to learn that the Witness had arrived on Playstation 4. I raced upstairs to boot up and download the game, a sense of excitement I probably hadn’t felt since I was a teenager. I had been waiting for The Witness for years. The game is the second title from Jonathan Blow, who created the thought-provoking and diverse indie platformer, Braid. Braid was a platform game that focused on tight mechanics, but added some new ideas in time travel and speed of motion. I turned my Playstation on and flipped to the Playstation Store. 40 bucks for an indie title? Done. A price that high can seem relatively lofty for an indie game, but knowing the quality that Blow put into his first game, I paid the price without thought. Prior to playing the Witness, I had seen it go through a few iterations in gaming headlines. With the final product, all I knew was that the Witness was a line puzzle game. Effectively, you are tasked with guiding a line from point A to point B, with various obstacles and rules. The elevator pitch for The Witness would sound like the same pitch used for the kind of black and white puzzle book you buy your grandfather for his birthday. But, over the course of solving hundreds of these puzzles, what starts as simple line drawing turns into a brain-twisting maze of patterns, tiles, etc. No two puzzles are the same, and new challenges and blockers are always being introduced until the very end. What makes exploring the island of the Witness and solving puzzles so fun is the way in which everything is connected. With the Witness, Jonathan Blow has invented a unique language geared around drawing lines. You learn the language of drawing lines as you traverse the different sectors of the island. Don’t understand what a symbol means on a puzzle? Try to figure it out. Can’t figure it out? Walk away to a different area with different puzzles until you invariably learn what the symbol means in a different location in a different context. Come back when you have figured it out. This is truly the “Metroid-vania” of the puzzle genre. With solving puzzles in the Witness, it isn’t only the tribal knowledge of the world that expands, but also your perception. Sometimes, the answer is right in front of the player. It takes leaving and returning with a rejuvenated mind to attack the solutions with the right approach. 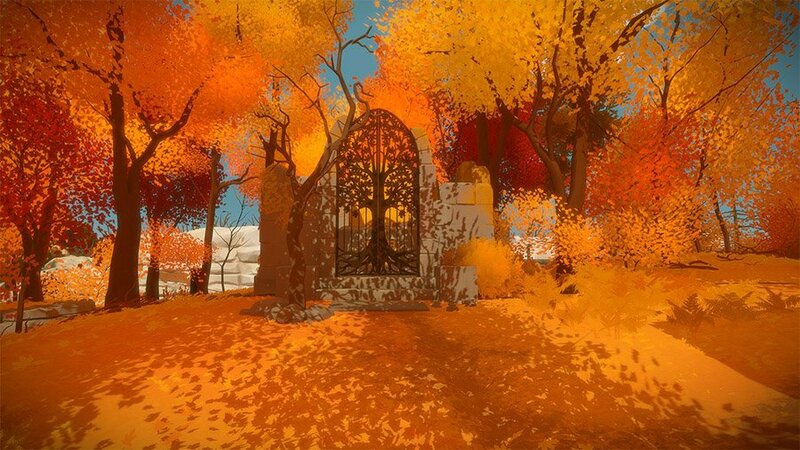 The Witness isn’t about crime or an Amish witness protection program. It is about you experience, perceive, or “witness” the world around you. Since the story is told from the first person perspective, the island is the star of The Witness. The entire game takes place on the one island, which serves as the overworld and the source of all the puzzles. It is a beautiful world, rich with color and a cool pastel art direction. The world is divided into different smaller sectors. Each sector introduces a new challenge and provides a new term in the language of line puzzles. In the earlier sections is “Symmetry Island” where a second mirrored line is created for the line you draw and “The Orchard” where you use the environment to help dictate how the line is drawn. Most of the senses are put to work in figuring out the resolution. Similar to a game like Myst, the entire island also helps to serve as a massive puzzle and meta-game in itself. There are sectors where the environment itself needs to be disrupted to advance. There are mysteries and collectibles to find that help to flesh out what story the game does have add some value to playing after you have solved the main puzzles. There are always secrets to uncover and new paths to take on the massive island. 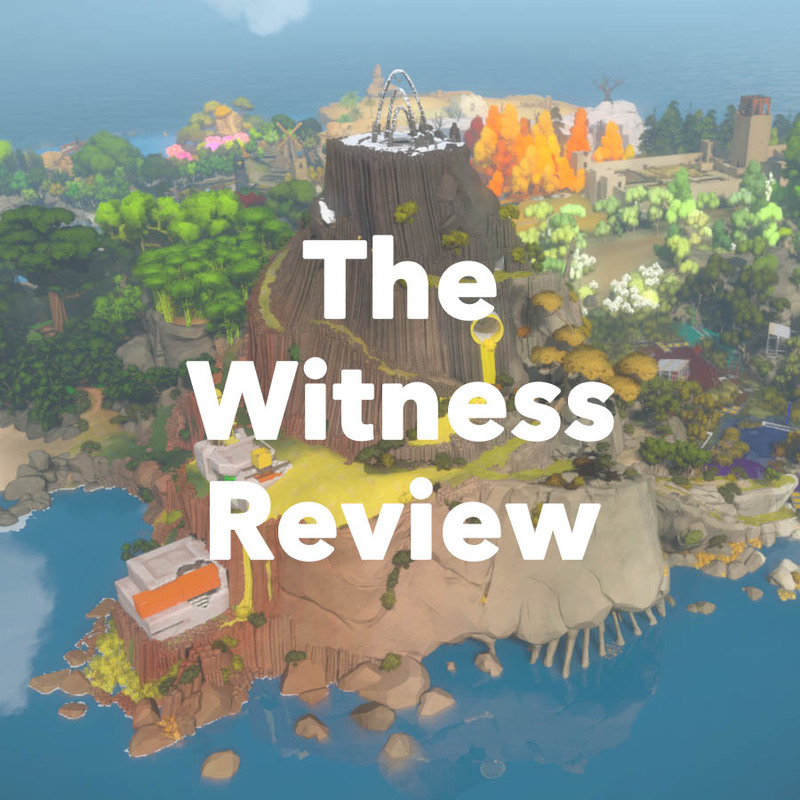 It might seem like there is nothing bad to say about the Witness. It’s hard to knock a puzzle game that does puzzles so right. Here is an attempt to be subjective. Once you solve the puzzles in The Witness, the concepts lose any surprise and thus restrict any long-term replay value. Additionally, there is not much of a story. The game, and any dialogue in it, are all about philosophers and other famous figures who were able to see the Earth in a unique light. The Witness is a puzzle game first, and everything else second, so don’t expect a gripping tale. Those minor issues aside, The Witness is really a complete puzzle game, and one of the best experiences I have had with a controller in the last decade. If you enjoy brain-teasers, puzzle games, or really anything that makes you think, take a break from the shooters that dominate the gaming market and give The Witness a shot. You won’t regret it, and you might learn something.